Recent decades have witnessed a significant growth in interest in Trinitarian theology. Among the varied and often conflicting theologies currently developed, the common theme is that the Western tradition of Trinitarian theology has had its day. This book argues that this tradition is still relevant, and in fact more coherent than the competing alternatives now on offer. 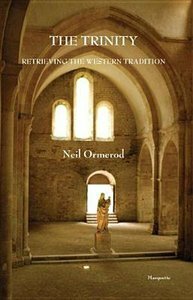 SNeil Ormerod is head of the theology faculty at the St. Mary Campus of the Australian Catholic University and the author of Introducing Contemporary Theologies.